Stacy’s Funny Farm Achieves Non-Profit Status! Well, not really. But I have submitted my application to Washington State, and I am getting my ducks in a row for the Section 501(c)(3) application! There is certainly no profit to be made by taking in everyone else’s pets, and after 40 years of feeding freeloaders, it is time to admit it. This is not ever going to be profitable! However, there are some tax benefits if I am still nimble enough to jump through hoops. So, I’ve started this blog, I’m working on a facebook page, and other than that, EVERYTHING STAYS EXACTLY THE SAME. It’s just that I hope to enjoy some tax benefits for my trouble. And those donations of yours? Tax deductible, too! But not yet. I’ll keep you posted! 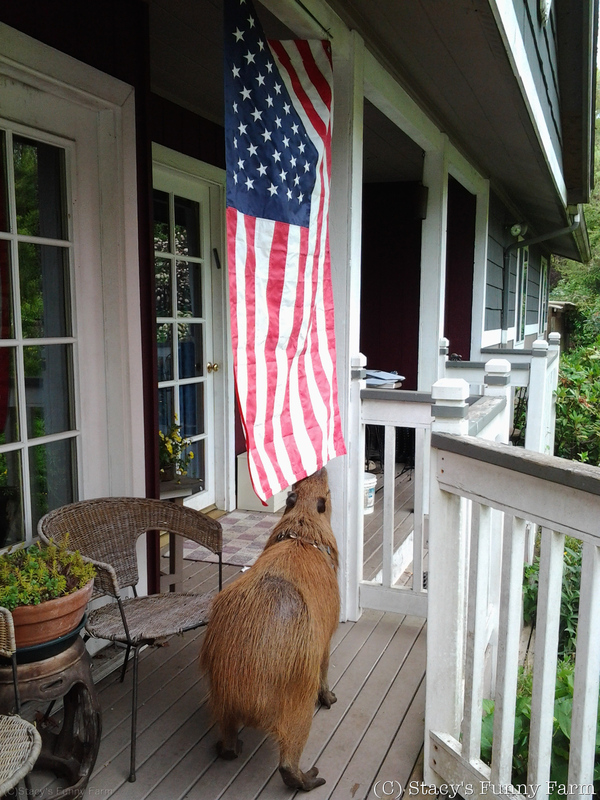 Dobby the Capybara – as American as apple pie!